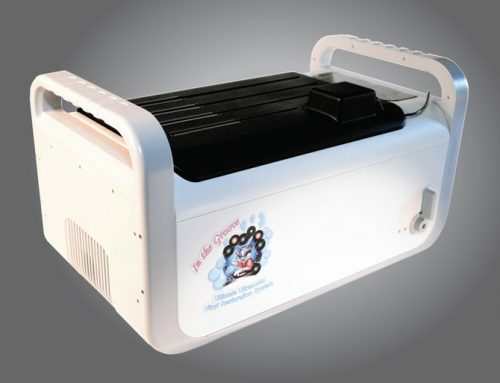 System Audio (SA) is a company that has been manufacturing loudspeakers for a few decades. The company was founded in 1984 by a musician Ole Witthøft, who is currently SA’s leader of product research and development. 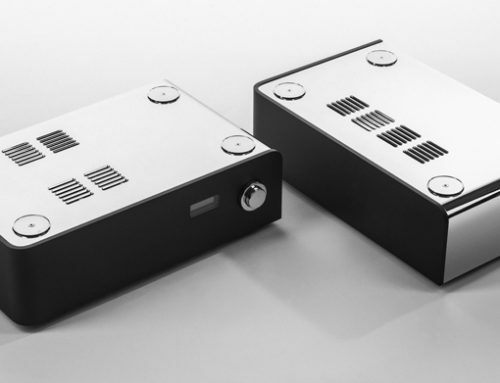 As System Audio points out on its website, Ole, as a musician, knew what live music should sound like and after listening to a number of products available, took it into his own hands to build his own loudspeakers – SA being the direct result. 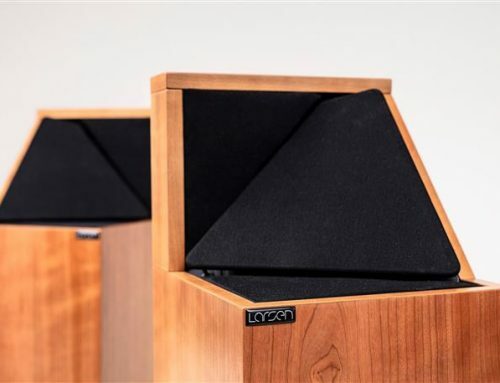 SA is a Scandinavian loudspeaker company; based out of Roskilde, Denmark, which it announces on the cover of its product line brochure – simply stating, “cool scandinavian loudspeakers”. Though Scandinavian, SA is not exclusive to the Scandinavian market, in fact; it distributes its products virtually worldwide, including places such as Singapore, the Ukraine, Greece, Europe, the United States and yes, even to us, up here in Canada. 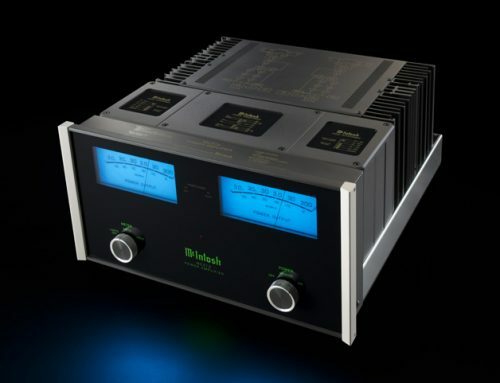 Despite its widespread distribution, I hadn’t made acquaintance with SA until this past September, when I was fortunate to come across its products at the Toronto Audio Video and Entertainment Show (TAVES). At TAVES, Kimbercan, the Canadian distributor for SA, featured a number of SA products and demonstrated their sonic prowess and aesthetic appeal. Don Rhule at Kimbercan was very accommodating in supplying us with a pair of SA Aura 1 bookshelf speakers for this review. In addition, Kimbercan graciously provided some Kimber Kable products (PBJ and Hero RCA interconnects, as well as 8PR and 8TC speaker cables) to accompany the Aura 1’s on their maiden voyage in my listening room. SA’s philosophy is one of simplicity and the use of ‘meaningful ideas that work in the real world’. What this means is that over time SA has built up a set of ideas, which it has found to work well in creating loudspeakers. This set of simple, yet proven ideas is what SA uses to create its loudspeakers, in all its design varieties, something the company refers to as “system design”. Within this system design philosophy, SA holds that there are three essential qualities of a successful loudspeaker – musicality, integration and quality. To SA, musicality manifests itself in sound, which the company feels is the most essential thing in a loudspeaker. High quality sound, to SA, is connected with speed. To foster speed, the membranes in SA drivers are extremely light and designed for fast and accurate response. Smaller rather than larger diaphragms are the choice, mated to motor structures that allow relatively greater pistonic motion – moving more air. SA also uses natural materials for the driver membranes such as paper, wood fibres, or textile. This approach, is what SA feels brings greater control, precision and dynamics and the best possible sound. By integration, SA implies the ability of a loudspeaker to “function in the real world”. Choosing smaller drivers results in corresponding gains in dispersion and therefore, greater flexibility with room placement. All SA loudspeakers are acoustically optimized for in-room use, including near walls. In terms of styling, SA offers a number of finishes combined with simple stylistic lines, allowing them to easily integrate with living space décor. 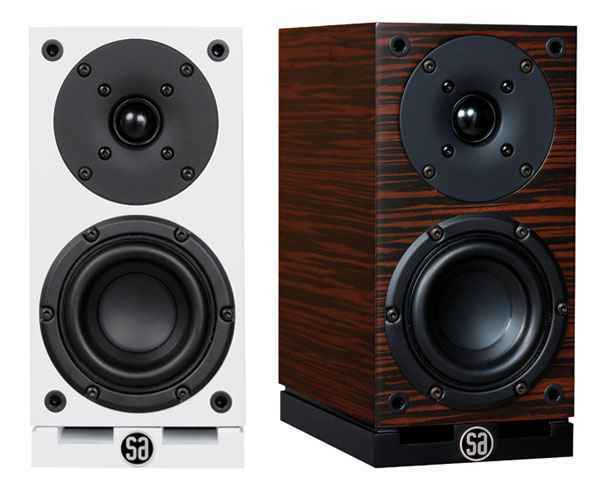 The third essential SA loudspeaker quality is just that…“quality”. To ensure quality, SA involves its employees in the end-to-end production process, from assembly to testing and packaging. Each loudspeaker is subjected to no less than 14 quality tests and is backed by a two year manufacturer warranty but it doesn’t stop there, SA claims its loudspeakers are actually built to meet their technical specifications for 12-15 years. There are a total of seven different series in the SA loudspeaker line-up, namely: Reference, Mantra, Aura, Saxo, XP, On-wall and the Aktive Subwoofer series. The Aura 1 is the smallest member in the SA Aura series and one of their most recent additions. Speaking about small, the Aura 1 is just 27.5 cm high, 13.5 cm wide and 21.9 cm deep; and is one of the smallest SA speakers ever. Though small in size, this little critter weighs in at a very respectable 4.5 kg, which says something about its construction. In fact, the Aura 1 is constructed of 18 mm MDF and has an integrated cabinet base that is 25 mm or just about 1 inch thick. This rather unique base controls vibration, while serving to house twin front bass ports and a rear set of shrouded gold-plated binding posts. On the bottom are four tiny but effective dampening feet – no blue-tack required here. The Aura 1 is a two-way bass-reflex design with a stated frequency range of 52 – 35,000 Hz (+/- 3 dB), 8 ohm nominal impendence and 80 watt power handling. The tweeter used is a 1 inch textile soft dome matched to a 4.5 inch long-throw mid/bass driver. Don’t be deceived by its size, the Aura 1 with its low sensitivity of 84 dB/1w/1m, calls for an amplifier with some guts – a minimum of 50 watts is recommended. SA caters to décor by providing the Aura 1 in three finishes: black ash, ebony and white satin. I saw the ebony finish at TAVES and found it quite striking – the review set came in white satin, making a fresh, clean and contemporary statement. At least a couple visitors to my home complemented its looks. I was impressed by the impeccable build and finish quality. The little face of the Aura 1 was quite endearing, having just enough space for the bantam woofer and soft dome tweeter with its waveguide. Not that it was delicate looking but cute, just the same. I strapped the pair of Aura 1 speakers into my kit – a Bryston BP6 preamplifier, 4B-SST2 amplifier (might sound like overkill but we’ll see) and Logitech Squeezebox Touch (a sleeper of a product if there ever was one but sadly now discontinued). Using the Kimber Kable interconnects and speaker cables that were provided by Kimbercan, I broke in the Aura 1 loudspeakers. SA recommends giving these speakers between 50 to 100 hours of break-in, which is what they got and then some. I can say that when I first plugged them in, what I heard was vague and sedate but those first impressions were soon to change – break-in brought on a metamorphosis, a new creature emerged. SA designed the Aura 1 to be used in a multitude of applications, including on a shelf, within a bookcase, on wall or ceiling, as well as more traditionally on speaker stands; magnetic shielding provides even greater flexibility. I began with some placement trials. First, I tried sitting them on a low shelf, then with actual books to their sides akin to a bookshelf and eventually I moved them to stands. On the shelf, their bass was strong – striking, in fact. However, though the bass was robust, giving the little Aura 1 a large-and-in-charge demeanour it wasn’t quite linear, with some bloating in the 60 Hz region; however, I could see how many might find this bass heft appealing. Putting books to their sides didn’t seem to impact their tone but it compromised centre focus and imaging. All said, the Aura 1 was definitely usable in either placement but ultimately, it was on stands that they found their best voice. Sitting on stands they sounded tighter, more accurate and had the best imaging. Stand placement was also a factor. With the stands three feet away from the back wall, the Aura 1 was wanting in bass, moving them to within a foot of the walls and like a waking giant the Aura 1 acquired a much stronger and dynamic presentation and so that is how they sat for my ensuing listening sessions. One album that’s been getting a fair bit of play in my home is Melody Gardot’s latest, “The Absence”. The album is thoughtfully named, as it comes after her hiatus from the recording scene. If you haven’t been exposed to Melody Gardot’s wonderful voice and recordings I’d say you’re missing out – go get acquainted. With the track, Lisboa, church-bells rang in the distance and the sounds of outdoors served to captivate me. Bells ringing from left to right carried not only a natural metallic brightness but also a fullness of tone. Melody’s voice came in warm, inviting and noticeably smooth. This warmth in the midrange was enticing and quite surprising given the small stature of the Aura 1. A shaker was delivered with a raspy character, while bringing forth the echo of the surrounding recording venue and embodying a three-dimensional quality. I found the cymbals clear with their trailing sustain present but somewhat subdued and brief. The stand-up bass sounded surprisingly full – not quite like a full-size tower loudspeaker but enough to have you thinking you were listening to considerably larger speakers. Bass string plucks had an enjoyable tension and guitar too was delivered with a wonderful tonal quality, body and detail. It was here, that I swapped in my Epos ELS3 bookshelf speakers for comparison. Though the Epos is larger in size with a bigger 5 inch woofer, it weighs no more than the Aura 1 and was unable to match the Aura 1 in bass weight and extension. The Epos though brought its own strengths to this aural table – delivering more distinct leading edges on notes and revealing more of the ambient sounds on this recording, such as the rustle and air of the outdoors. Cymbals with the Epos also had a more apparent shimmer and greater sustain. The soundstage with the Epos was more open and airy, adding to its size. However, vocals were more etched with sibilance more evident. I moved next to the track Amalia, which is a playful tune that balances an uplifting rhythm with the melancholy. Here the Aura 1 successfully imparted the varying emotions that Melody’s voice and the arrangements were intended to evoke. There was a very nice weight to the opening bass pluck, a lucid portrayal that had me riveted. Melody’s voice, once again, sounding beautiful, liquid and smooth – her vocal inflections coming across in a natural manner. The guitar plucks had a nice snap and were accompanied by a healthy share of woody resonance. On the back-up chorals, the voices were set a little behind Melody and stretched from left to right, just pushing outside the room boundaries. The bird chirps at the end of the track left me wanting for more. With the track, So We Meet Again, the Aura 1 effectively demonstrated its ability to layer elements in the soundstage – bass centred and to the back with violins spread across the rear and guitar up front centre and to the right. Cymbals on this track were soft and feathery, though just a tad short on sustain. I moved to the Cowboy Junkies, The Trinity Session album. First up was Sweet Jane. The high-hat was clearly to the right and the most forward element. Margot’s voice was velvety and delivered in her whispering style with enticing smoothness and inviting clarity. The echo of the venue was apparent but a little contained, which brought a little more intimacy and warmth to the tune. Cymbals here were clear in their intrinsic metallic quality but somewhat subdued in their shimmer. Bass and guitar, from the rear was clear and distinct. On Misguided Angel, the airiness of the church venue was exposed. Here the Aura 1 did not disappoint in conveying the faintly whispered count, which ushers in this track…”2, 3”… Instruments were defined in their spaces and the micro dynamics of the strings were noticeable. Bass here again had impressive weight and respectable extension. Some of the deepest sonics on this album were absent but it did not detract from the musical enjoyment the Aura 1 was able to provide. I decided to give the Aura 1 a little different workout – moving to the Tron soundtrack from 2010. This soundtrack is an interesting mix of a full orchestra with Daft Punk’s take on electronica. The album tests grandeur, delicacy, details and dynamics. On the tracks, Recognizer, Armory and Rinzler, the Aura 1 served up surprising bass weight, extension and dynamics. The soundstage was respectable in size and had good definition. I did find that some of the airiness and upper-most frequency presence were reserved. 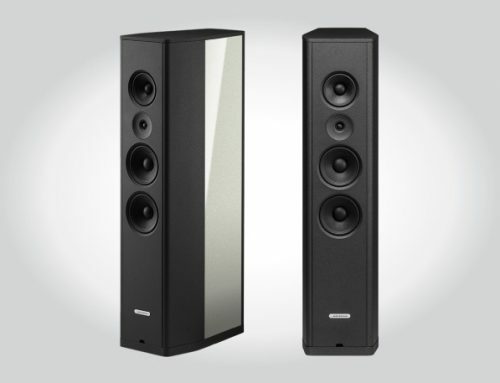 Here again I compared the Aura 1 with my Epos ELS3 speakers. The Epos was better able to bring to light the immensity of the venue, adding a greater airiness and delicacy to the track. That said, the authority which the Aura 1 delivered on this track and the overall ease was not to be matched. The Aura 1 is a wolf in sheep’s clothing. It truly surprised me in terms of the sheer size and body of the sound that it was able to command. Unlike bookshelf speakers of its size or some considerably larger, the SA Aura 1 can deliver midrange weight and bloom that leaves little to be desired. Its lower midrange and upper bass reproduction is quite astounding given its modest dimensions. Voices come across with a humanness and warmth that is very inviting. In the treble, the Aura 1 has a slightly dark quality, which ensures that it never sounds dry, etched or rough. This can be a wonderful thing when it comes to the many substandard recordings that are out there and also lends itself very nicely to rock, alternative and the like. High frequencies are more silky than incisive, which can be very pleasant. With a list price of $799 / pair, the Aura 1 is speaker to take note of. System Audio has managed to produce something in the Aura 1 that embodies contemporary design, big sound and musical beauty. The company’s philosophy has obviously served it well. PBJ Interconnect ($135/pair): is a high-value cable that provides lovely detail across the frequency spectrum while maintaining neutrality. It delivers very nice definition and imaging, with controlled bass frequencies that are well extended. High frequencies have lovely extension and the midrange is natural and smooth, without sacrificing detail. This cable maintains excitement and rhythm. Hero Interconnect ($270/pair): is essentially neutral but embodies some additional warmth. Though somewhat relaxed in overall composure, the Hero effectively avoids any harshness in the upper frequencies, presenting treble in a delicate and composed manner. The midrange is full and smooth with a soundstage that is noticeably holographic. Bass frequencies are full bodied and detailed. 8PR Loudspeaker Cable ($222): a solid performer with fullness and heft in the bass frequencies. It has an overall neutral tonal quality, while being just a touch rolled-off in the upper-most registers. It is able to foster a dynamic performance. 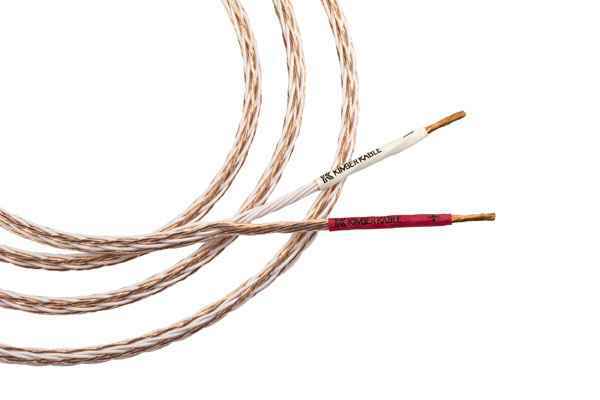 8TC Loudspeaker Cable ($510): delivers a neutral and defined sound with wonderful top-end extension that serves to bring out the shimmer, airiness and delicacy that are present in many high resolution recordings. This cable provides a holographic soundstage with wonderful imaging. It is fast, bold and dynamic. Overall, the 8TC delivers a very addictive combination of sonic qualities.